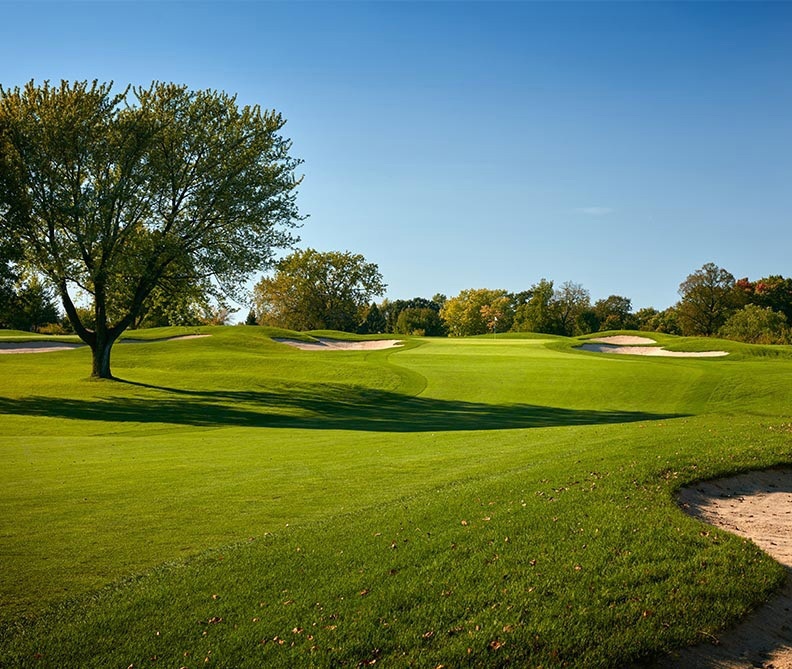 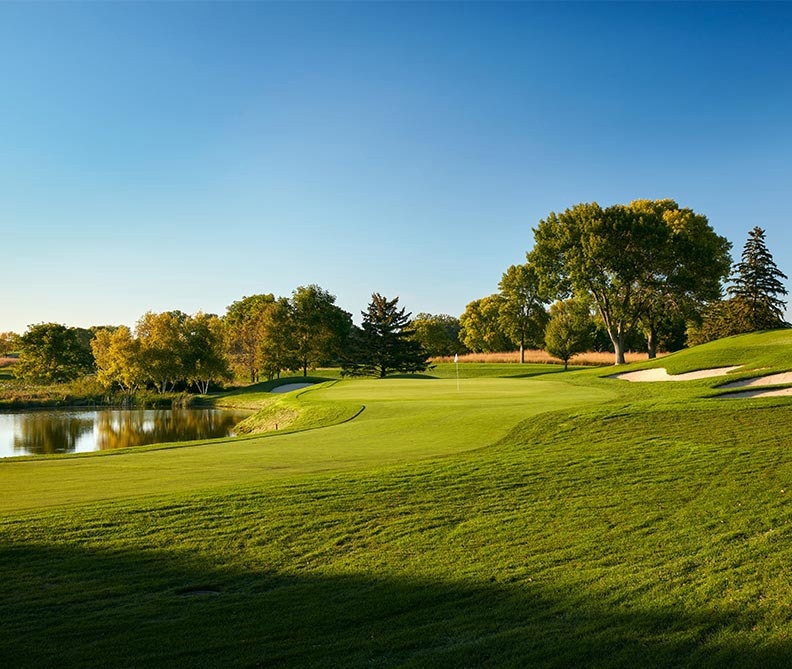 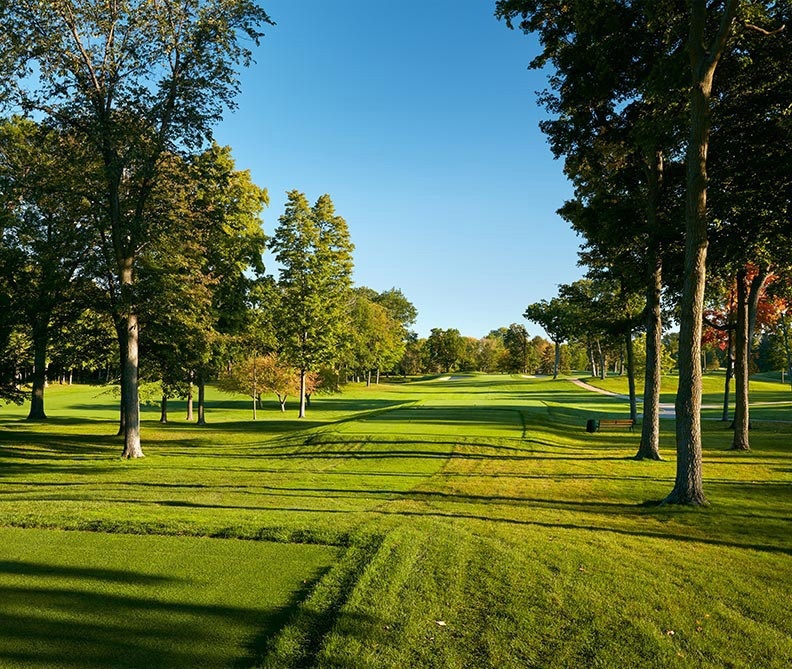 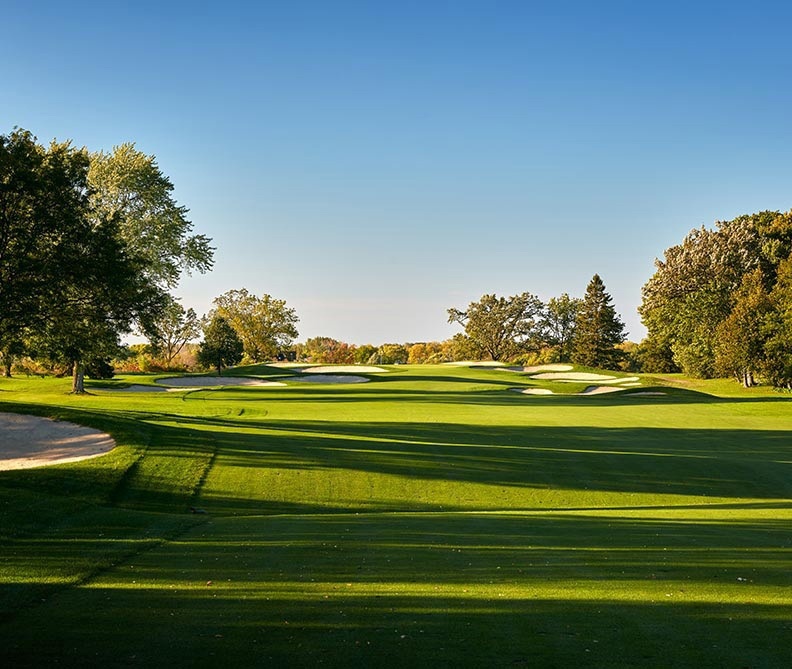 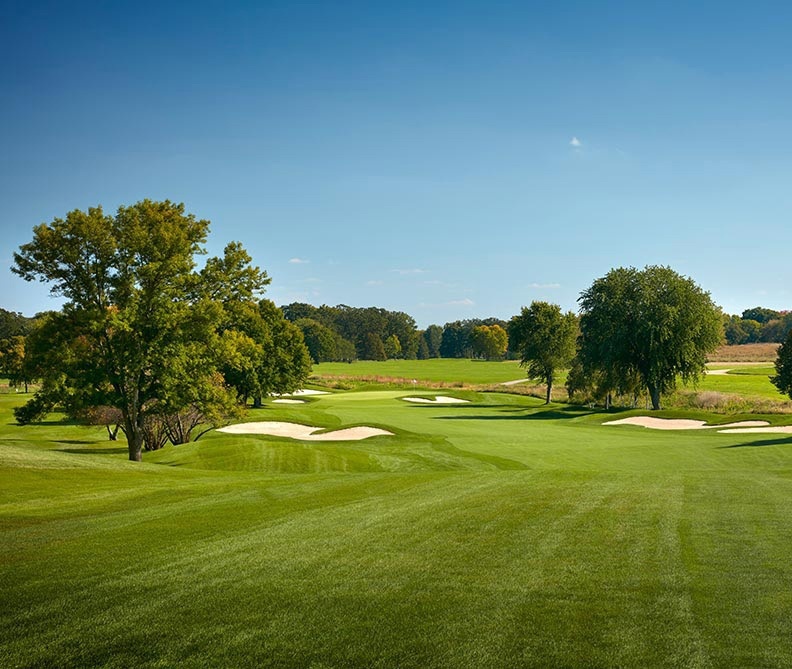 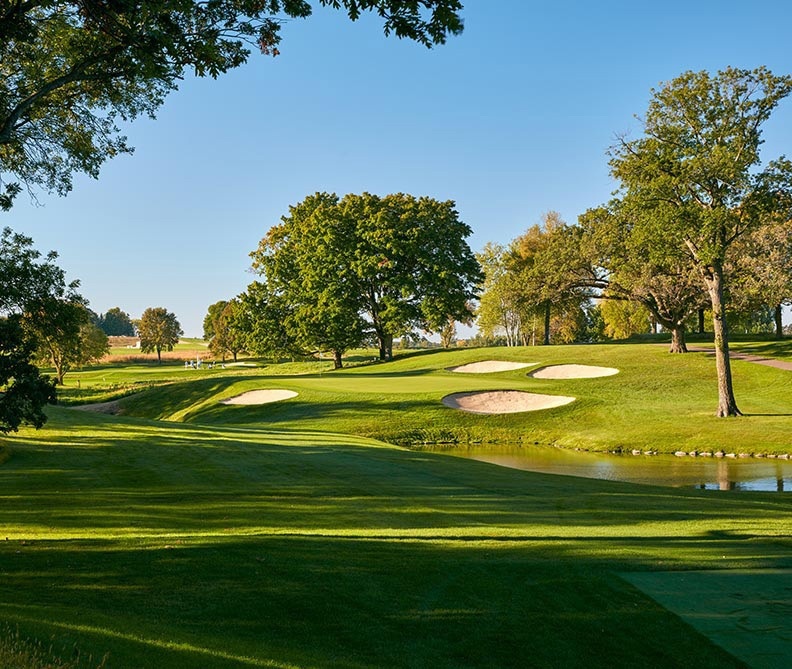 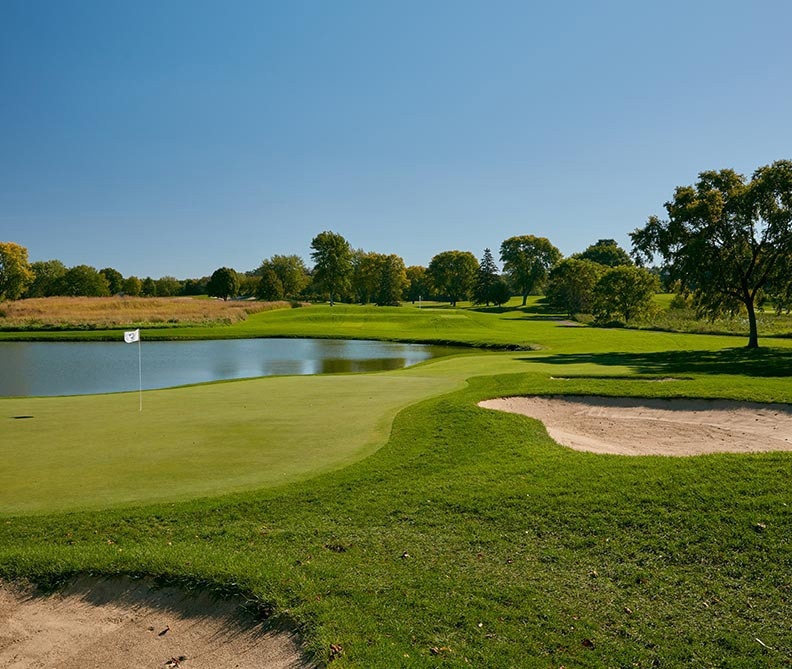 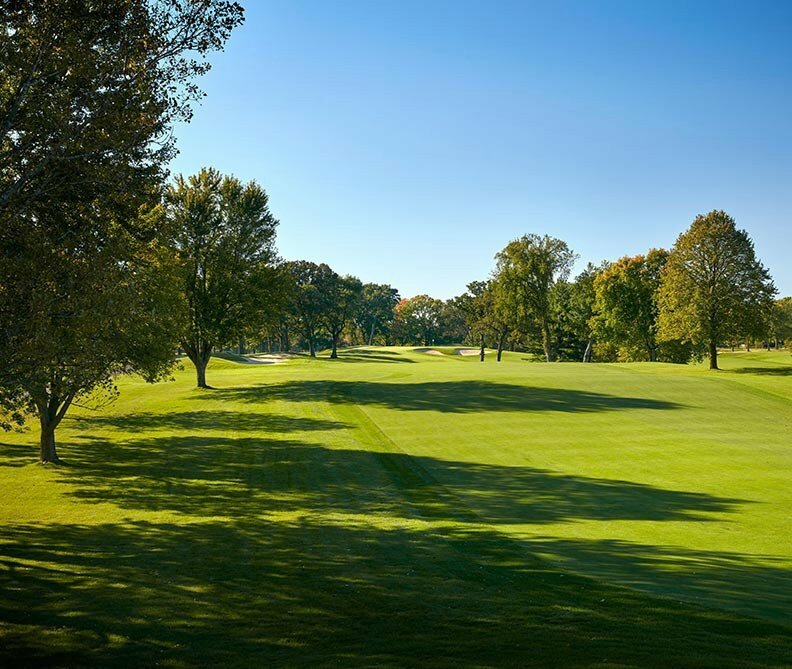 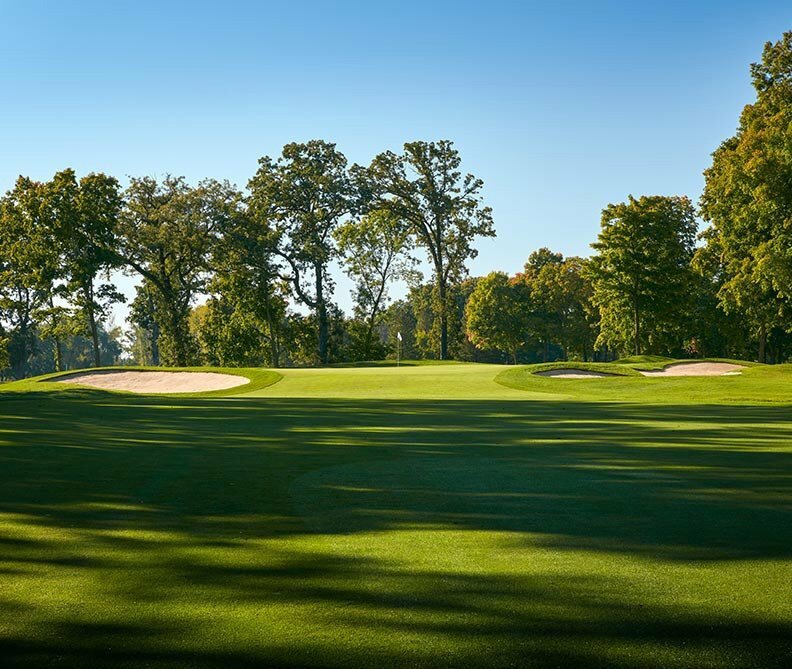 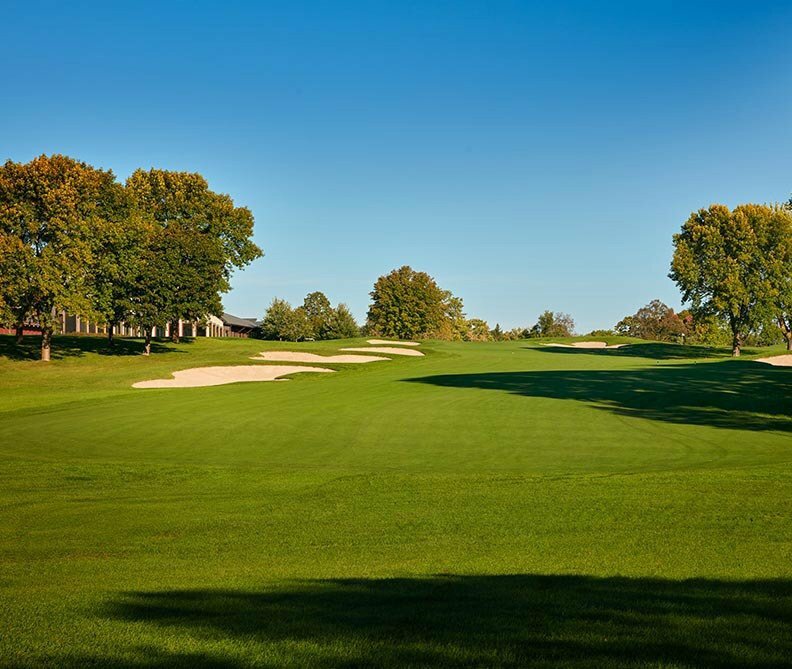 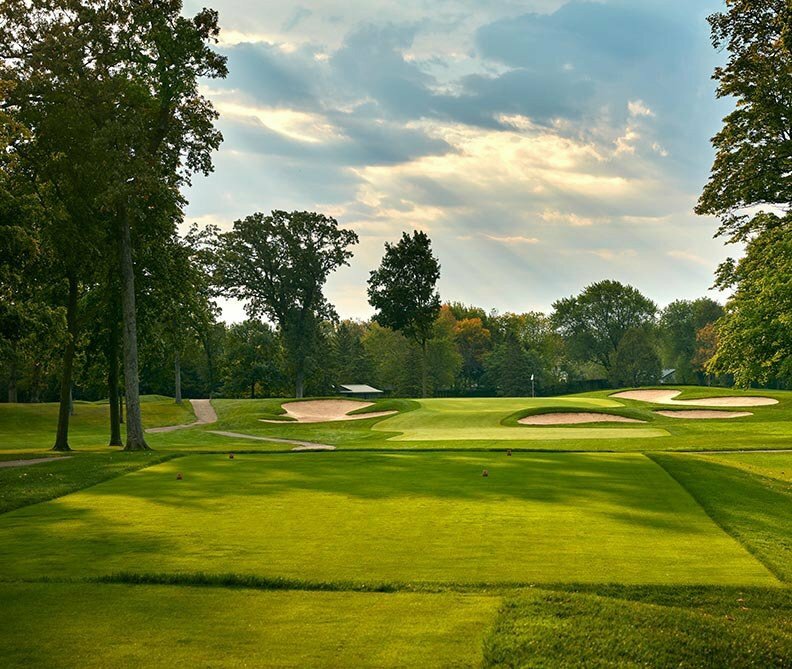 Designed to host national championships, Hazeltine features beautifully landscaped fairways bordered with majestic woods and water features that lead to the illustrious greens. 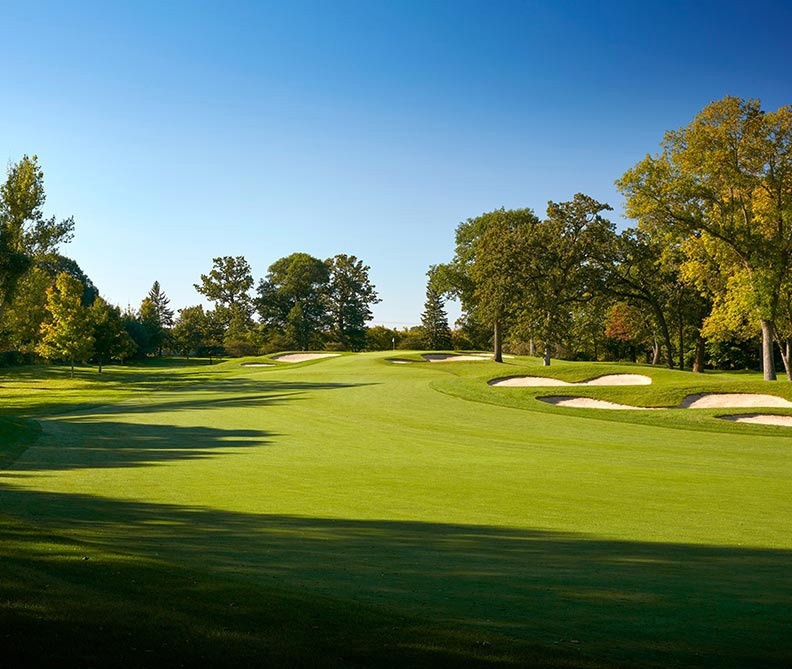 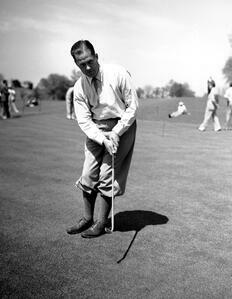 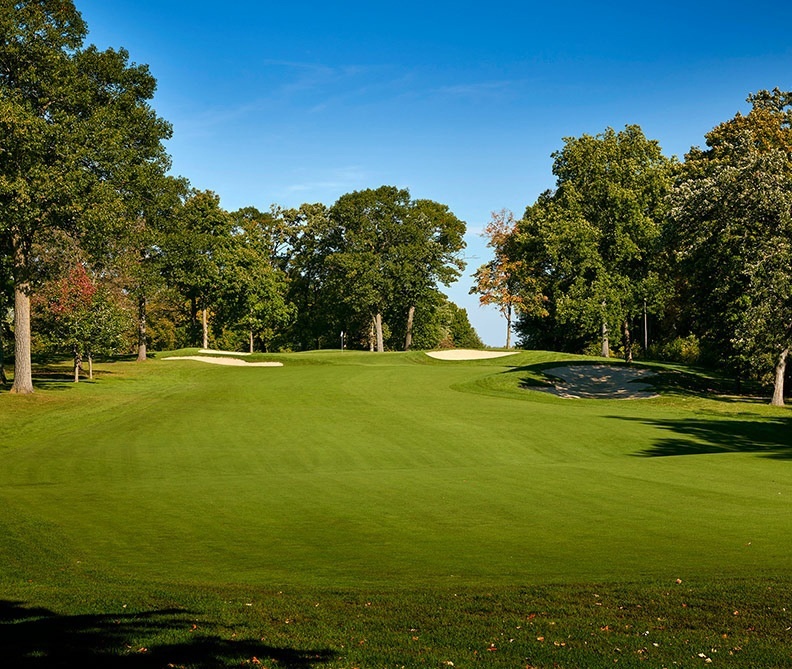 Hazeltine National Golf Club was founded in 1962 on the rules and traditions of golf. 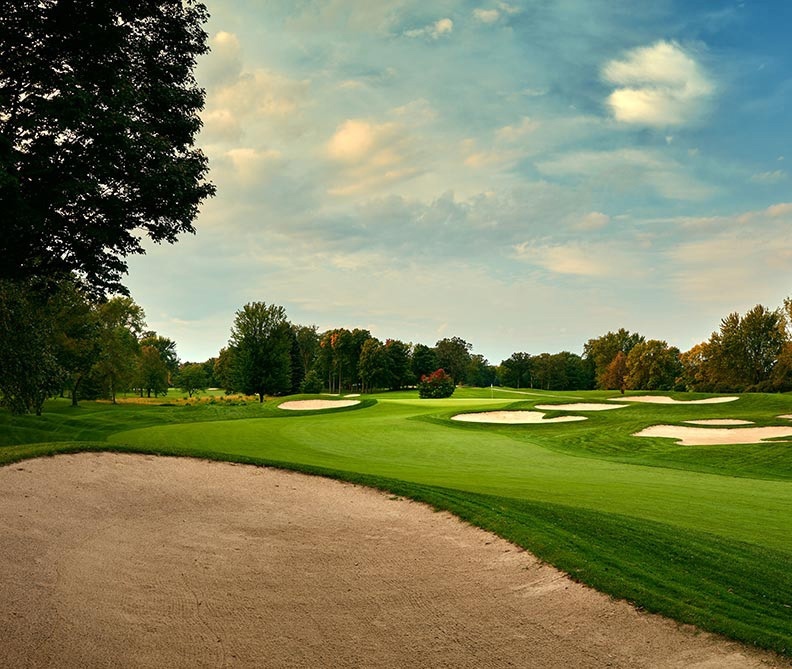 Totton P. Heffelfinger, a former president of the United States Golf Association (USGA), wanted to create a golf club that would host major championships while providing a pure golf experience for its members. 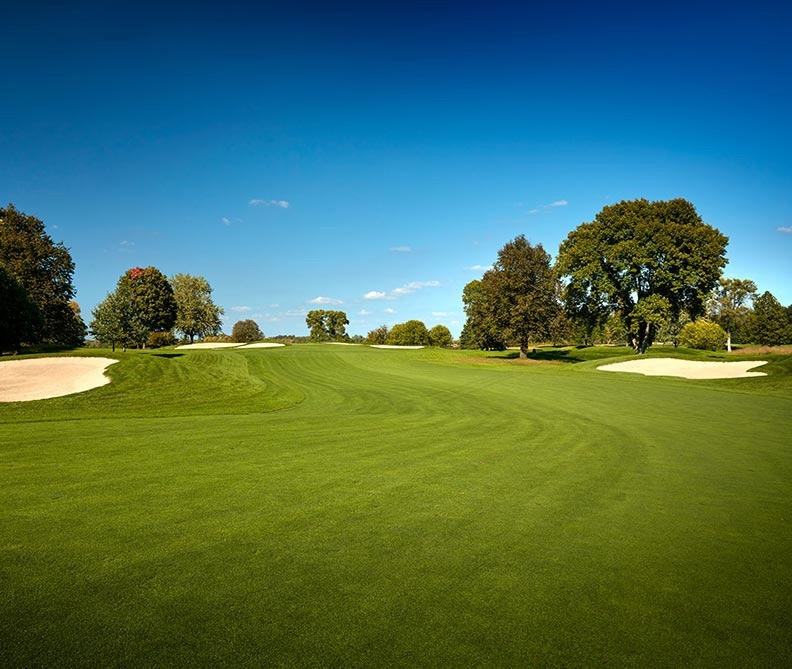 Accuracy off of the tee is critical on the opening hole of the back nine. 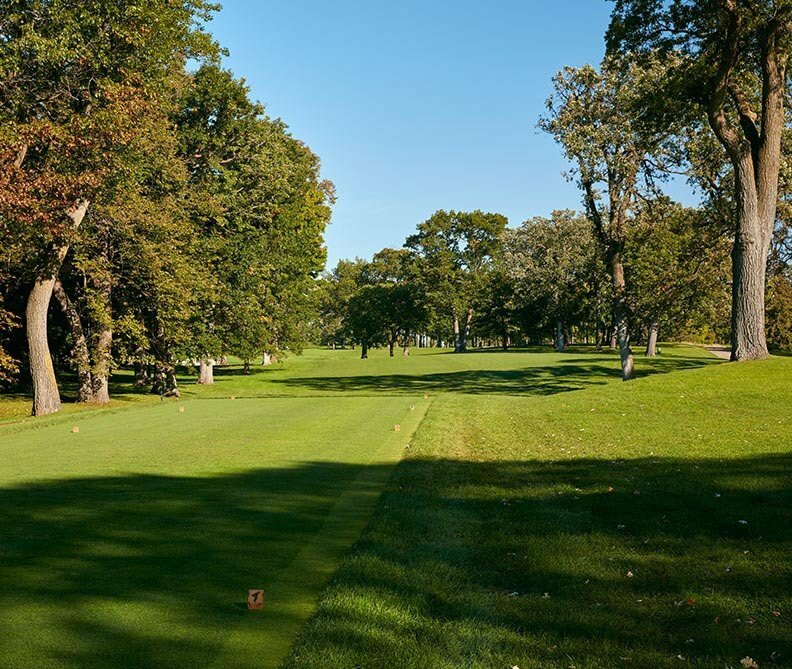 The perfect drive is to the corner of the dogleg. 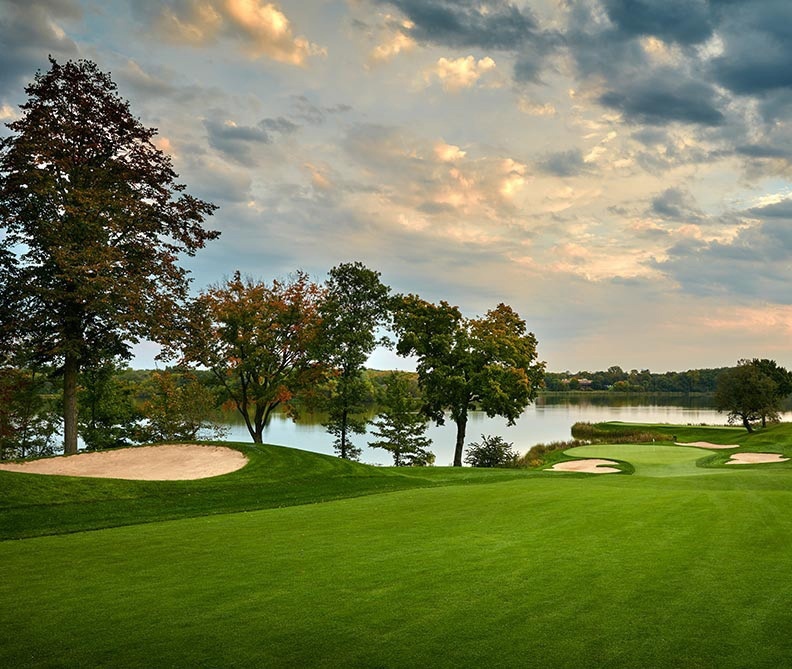 From there, the hole plunges down the hill toward Hazeltine Lake. 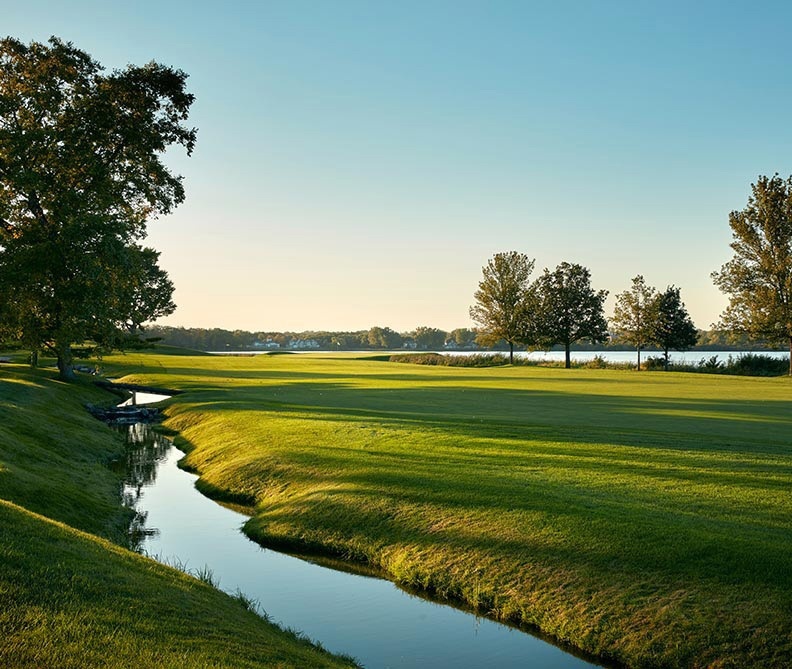 Back left hole locations are particularly difficult, since they bring the lake into play and approach shots that end up right of the ridge that bisects the green will leave two hard putts to make par.